Telstra's poorly named 4G Tablet predictably lacks any real wow factor, but it's a solid product that provides reasonably good value for money. It's well built and has reasonable battery life and is only really let down by a less than average display and awful quality cameras. Telstra's first tablet was widely panned as a dud, but the telco obviously sees a place in the ever expanding tablet market for a device of its own. The unimaginatively-titled Telstra 4G Tablet is exactly that, a 4G Android tablet that claims to be Australia's cheapest 4G tablet device. It's a solid product that provides reasonable value for money and is only really let down by a less than average display and awful quality cameras. If you remember Telstra's ill-fated T-Touch Tab, you'll probably never even glance at another Telstra-branded tablet again. You'll be missing out if you don't, though, as the 4G Tablet is surprisingly well built considering its price tag. The ZTE manufactured device is constructed largely from matte black plastic with a textured finish on the back that makes it easy to grip. The back does feel a little hollow when pressed, but there's no creaks or rattles and the device feels pretty solid. The Telstra 4G Tablet is surprisingly well built considering its price tag. The Telstra 4G tablet is not particularly attractive. We'd describe it as a very bland, black slab with rounded corners and a glossy bezel, so its pretty much what a basic tablet looks like. Weighing 670g, it's far from the lightest tablet on the market, though the weight is evenly distributed and the rounded corners and smooth edges make it reasonably comfortable to hold. The weight also compares relatively favourably with Apple's new fourth generation iPad (662g). The weight of the Telstra 4G Tablet is evenly distributed and the rounded corners and smooth edges make it comfortable to hold. The Telstra 4G Tablet's controls and ports are fairly well positioned. There's a standard 3.5mm headphone jack on the left side, power and volume controls on the top and a proprietary dock connector on the bottom that looks rather similar to Apple's old 30-pin dock. It's a shame there's no standard micro-USB port for charging, but the upside is a faster charging time of around two hours. A microSD card slot covered by an annoying plastic flap and a standard sized SIM card slot also sit on top of the Telstra 4G tablet. The latter is very fiddly to eject but considering you'll rarely be opening it, it's not a significant issue. The tablet has dual speakers, positioned on the top corners. They pump out a reasonable amount of volume for a tablet, but the lack of bass means the sound is tinny. The textured finish on the back makes the Telstra 4G Tablet easy to grip, though it's not very attractive. The screen is very reflective and doesn't work well in direct sunlight. Budget tablets are usually hampered by poor quality displays, but the Telstra 4G Tablet fares reasonably well in this area. It has a 10.1in screen with a resolution of 1280x800. It obviously can't display the same crisp text as tablets with higher resolutions (and higher price tags) but colour reproduction and viewing angles are reasonable. It's biggest weakness is a very reflective panel that doesn't work well in direct sunlight, along with an erratic automatic brightness setting. The screen also seems to attract an excessive amount of fingerprints. The Telstra 4G Tablet's screen is very reflective panel that doesn't work well in direct sunlight. 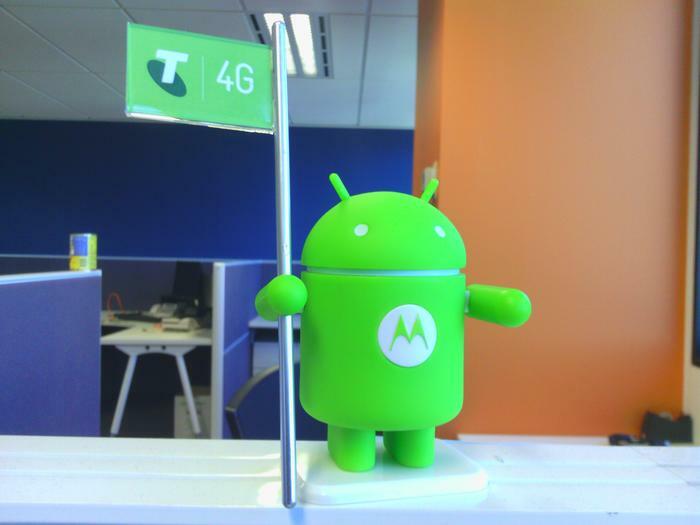 The Telstra 4G Tablet runs Google's Android 4.0 'Ice Cream Sandwich' operating system. It's largely Google's stock standard interface with minimal tweaks and overlays, so the experience will be familiar to anyone who's used an Android tablet before. Telstra hasn't announced if or when the device will be upgraded to the latest Jelly Bean version any time soon, but Ice Cream Sandwich isn't too outdated and provides similar core functionality so this won't be of too much concern to the average user. 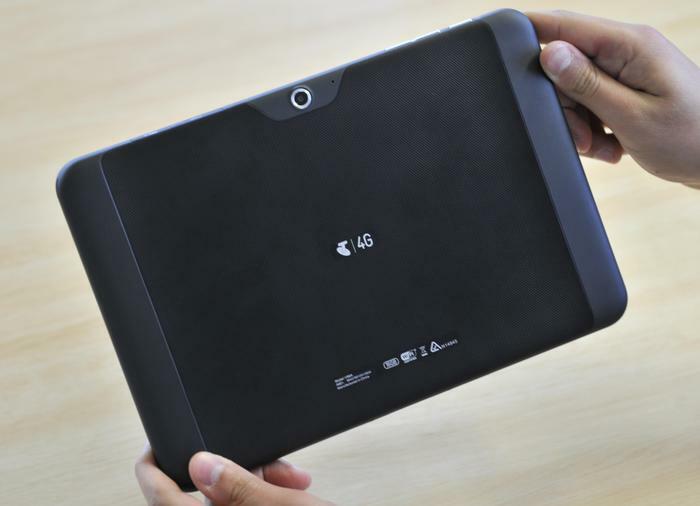 The 4G Tablet becomes noticeably warm during long gaming or Web browsing sessions. Performance is about average, though definitely not outstanding. The 1.5GHz dual core processor means the Telstra 4G tablet powers along nicely for most basic tasks and we had no trouble playing graphically intense games, like GTA III and Shadowgun. However, the 4G Tablet does tend to become noticeably warm during long gaming of Web browsing sessions. We did experience some lag, often when doing basic tasks like scrolling between home screens populated with on-screen widgets, zooming in and out of Web pages and unlocking the screen. Scrolling through long lists is also a jerky affair, but these are common issues with the Android operating system and aren't black marks on the Telstra 4G Tablet itself. 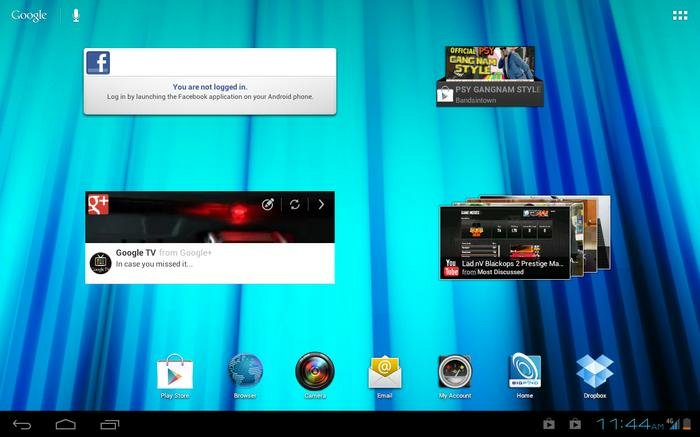 The 4G Tablet runs Google's stock standard interface with minimal tweaks and overlays. Being a Telstra-branded device, the 4G Tablet comes preloaded with a range of Telstra apps and services including TelstraOne, Foxtel Guide, White and Yellow Pages and the Garmin Navigator service. There's also file manager, note pad, task manager and power manager apps included, though the most notable customisation is a lock screen called Mi-EasyAccess. This enables you to unlock directly into six apps of your choice, in addition to holding the icon to unlock into the home screen. The long press is a little slow, though, and the unlock animation quickly becomes annoying. 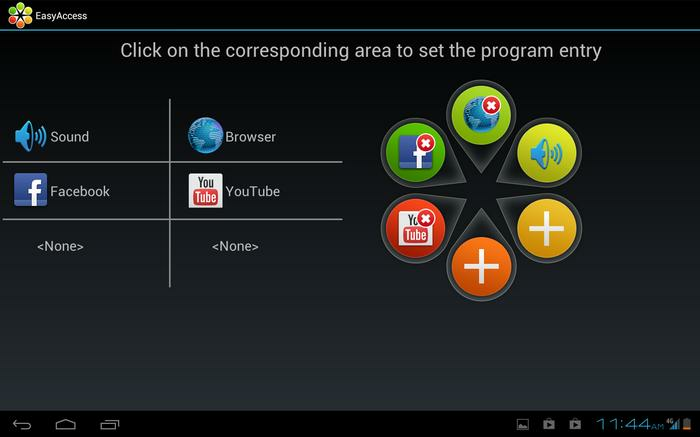 Android tablet apps remain an issue, though this is an ecosystem-wide problem. Android tablet apps on the whole remain an issue, though this is an ecosystem-wide problem and not the fault of Telstra or ZTE. There aren't enough apps on the Google Play Store designed specifically for tablet use and this means they won't work as well as they should on the Telstra 4G Tablet. There are examples both ways. The excellent Pulse Reader app, Skype, Pocket and Evernote all work fantastically well, but the likes of Facebook, Twitter and Spotify are simply blown up smartphone apps that create an awkward user experience. The most notable customisation is a lock screen called Mi-EasyAccess. 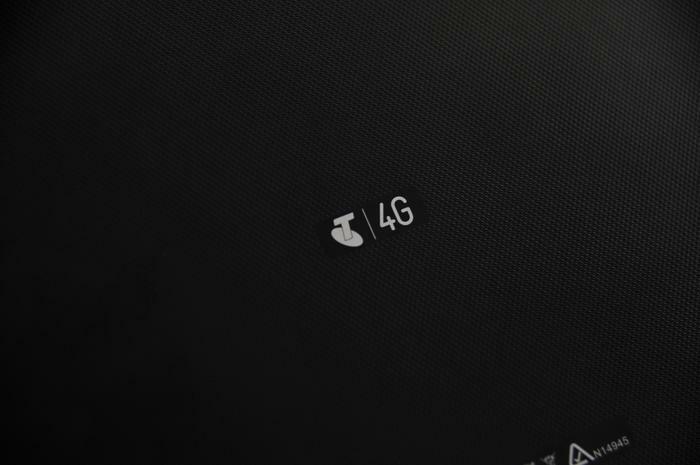 The best feature of the Telstra 4G Tablet is obviously the fact that it connects to Telstra's excellent 4G network in Australia. 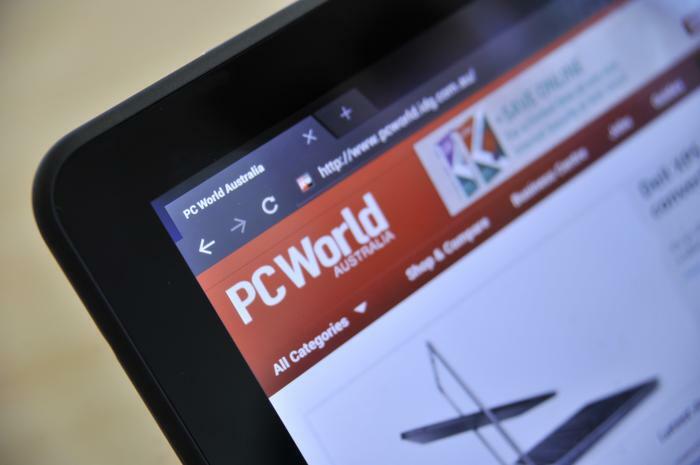 There aren't too many tablets on the market that are 4G-capable and most of the ones that available are significantly more expensive than the Telstra 4G Tablet. The speeds you manage to achieve on Telstra's 4G network will depend on a number of factors including congestion, location and time but we managed to achieve download speeds of up to 23 megabits per second (Mbps) and upload speeds of over 20Mbps on the 4G Tablet. We found battery life fairly reasonable, lasting just under seven hours in most instances. The Telstra 4G tablet has dual cameras on board but both offer poor quality images. There's a 5-megapixel rear camera and a 2-megapixel front facing camera for video calls. The rear camera suffers from excess image noise and poor colour reproduction, while the front facing camera works reasonably well enough for video calling apps like Skype, but the quality of still photos is predictably poor. Captured photos can be store on the 4G Tablet's 16GB of internal memory or an optional microSD card. A photo we captured with the Telstra 4G Tablet (click to enlarge). The Telstra 4G Tablet comes with a non-removable 6900mAh battery that Telstra says will provide up to nine hours of video playback. We found battery life fairly reasonable, lasting just under seven hours in most instances. It's not as good as the iPad's impressive battery life, but considering this is a 4G device at a competitive price, it's a fairly positive result. 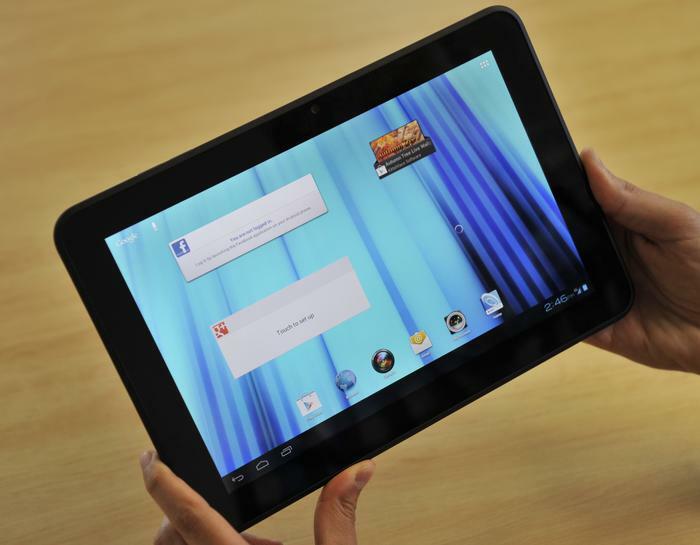 The Telstra 4G Tablet sells for $480 outright. The tablet is also sold on a Telstra Data+ Tablet Plan for $49 per month over 24 months. The plan includes 4GB of data per month.